We may be located in one of the coldest states in the USA, but we can send you ANYWHERE. We also can work with people from many states, including Canada! 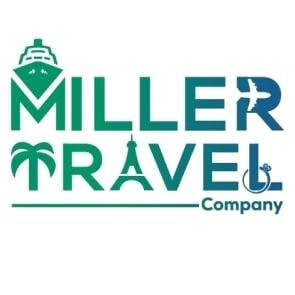 ﻿​Roxi Miller is the founder and owner of Miller Travel Company. A Bismarck (ND) native, Roxi has over 25 years of experience in the travel industry. With this experience, she has traveled the world and knows the ins and outs of the traveling. She is our "Roxstar," and the sole reason Miller Travel Company exists. You can often catch her exploring Europe via River Cruises or relaxing on the beaches of the Caribbean. If she's not traveling, Roxi loves to spend as much time with her grandchildren as possible. When the opportunity after finishing college arose to help her mom Roxi establish Miller Travel Company, she jumped on board and has been here since day one. She is a founder, travel consultant and manager of Miller Travel Company. Stephanie has been a frequent flyer since she was five. She has traveled the world with Roxi, and has a degree in Marketing, International Business and Management. She is our "do it all-er." You can often find Stephanie taking selfies while frolicking the tulip gardens of Holland, or recording videos for our social media followers in exotic destinations. We are so excited to announce that Steph has been accepted to the Global Travel Marketplace (GTM) Ambassador Program. GTM is an elite, invitation-only event for top-producing travel advisors in North America. As an ambassador, she will be acting as a mentor to new attendees and have the unique opportunity to attend the event 2 years in a row. Rox is a native to Bismarck and a travel enthusiast who is passionate about making passengers dreams a reality! She recently retired from a 25+ year career in the financial industry where she spent 2 decades of coordinating group travel across the country & throughout the world. In fact, her adventures have taken her all across the USA, many numerous foreign countries and 6 continents. Rox has a zest for life! She loves to travel, meet new friends, experience the sites, enjoy the cuisine of the destination and ensure that all the travelers have a great time on their trip. Guests become long time friends! Currently Rox resides in Bismarck with her husband Wally. Together they have three grown daughters and grandparents of seven grandchildren. eMAIL ROX ABOUT OUR GROUPS!